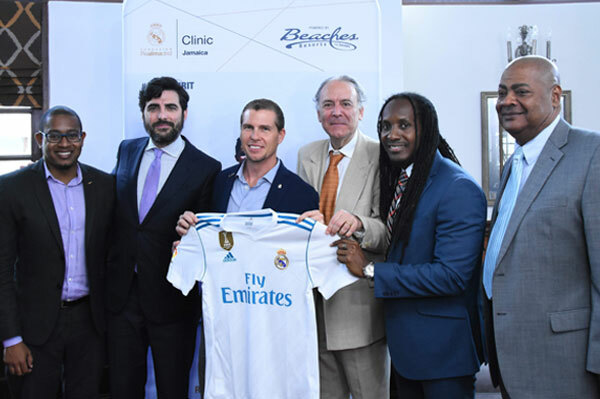 Sandals Resorts International (SRI) has kicked off a new collaboration with The Real Madrid Foundation to implement the first-ever series of soccer clinics at Beaches Resorts in 2019. Hosted in partnership with the Sandals Foundation, the philanthropic arm of Sandals Resorts International, these world-class educational and training programs will take place over two, separate five-day periods, the first being in Negril, Jamaica on May 14-20 and the second at Providenciales, Turks and Caicos on May 22-28. Each training session will feature immersive instruction and sport values sessions by Real Madrid Foundation coaches. Beaches will offer limited packages at an introductory price of US$495 to vacationing guests, ages 6-17 years, to participate while on holiday as part of the resort company’s LIV+ Program, a series of exclusive events to enhance guests’ vacation experience. Additionally, a reserved number of spaces will also be made available for the Sandals Foundation to invite local children, as well as coaches, in each island to participate complimentary and have the opportunity to learn values, tricks and skills directly from the professionals of the Real Madrid Foundation, selected by the Real Madrid Academy one of the world’s most internationally acclaimed soccer clubs.